When you own a high-performance automobile like a Pontiac, you need high-performance service to maintain it well. 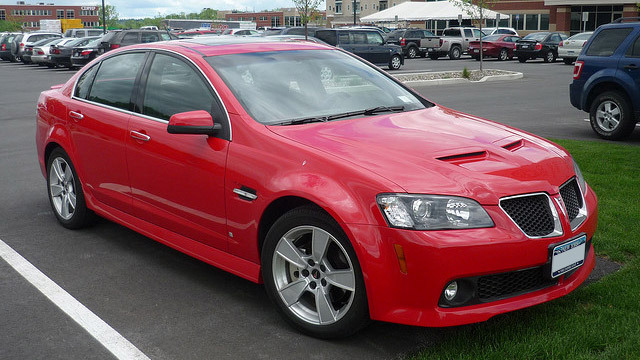 Don’t settle for anything less than the best when it comes to caring for your Pontiac. The Auto Doc’s shop at 1208 Montrose Blvd., Houston, TX 77019 offers high-quality service to Pontiacs and their owners alike. The Auto Doc’s certified technicians are equipped with the skill and experience to address all of your Pontiac’s needs, from routine service to major repairs. We don’t solely focus on the vehicle’s needs. We also address your needs as a vehicle owner. We make sure you understand the work we do, and we happily answer your questions about the repairs and service. From the moment you walk in to our shop until you drive away satisfied, we at The Auto Doc strive to ensure the best quality customer service. Give your Pontiac vehicle the quality care it deserves. For the best in automotive maintenance and repair, call The Auto Doc’s shop at (832) 519-0019 or schedule an appointment online today!